Pick up hammer. 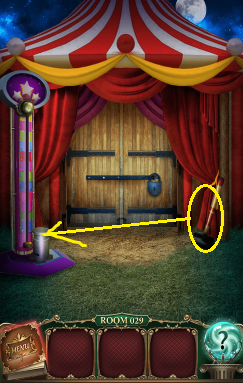 Select it, then tap and hold on the part where you hit the machine for at least 5 seconds, then let go. 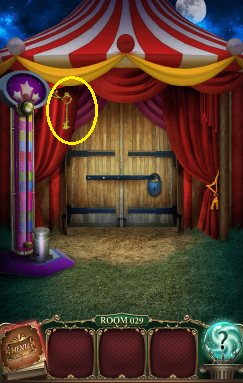 If it hit the bell at the top, the key will appear.